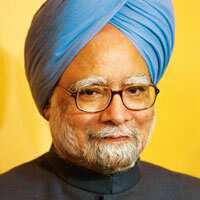 Beijing: Prime Minister Manmohan Singh on Friday donned his economist’s hat and called for unclogging credit around the world and coordinated action to soothe markets shaken by the global financial crisis. On a day that stock markets plunged again, Singh said at the seventh Asia-Europe summit here that multilateral financial institutions such as the International Monetary Fund (IMF) and the World Bank should put in place funding facilities faster and in larger amounts, with less service conditionality and greater flexibility. Calling for the IMF to revisit the issue of special drawing rights (SDRs), Singh said a fresh allocation of SDRs would reinject liquidity into the markets and act as a “powerful stabilizer" in containing the crisis. SDRs were created by the IMF in 1969 to serve as an international reserve asset. The Prime Minister described the present global crisis as a result of the failure of regulatory mechanisms on financial institutions, a failure of risk management and a failure of market discipline mechanisms, said N. Ravi, a senior external affairs ministry official. He urged a restructuring of financial markets and specifically, an accountability of the bad assets that had been accumulated, according to Ravi. Singh cited John Maynard Keynes, the economist who made his reputation during the Great Depression. “To quote Keynes…The position (becomes) serious when enterprise becomes the bubble on a whirlpool of speculation. When the development of a country becomes a byproduct of the activities of a casino, the job is likely to be ill-done."